Now let's discuss Benefits of honey, Honey should eat and how to use it get its maximum benefits. Eating honey continuously especially the Manuka or Buckwheat honey in the morning every day improves the immunity system of our body. As it contains some such nutrients which fight strongly against the bacteria. if you eat honey or drink it with milk or even with water just before the exercise you will feel quite much energetic for long duration or if you eat honey in the morning it will keep you charge for the whole day. consuming honey daily improve our overall health. But it especially stops bacteria’s to grow in our body and that’s why if we apply honey on wounds it cures them very fast. It also stops infections to grow and protect our body from the skin diseases. having the habit of eating honey protects us from the problem of constipation which actually is the mother of all health-related problems. For this advantage of honey, one should eat honey in the night with milk or separate. (Note- if you are a diabetic, don't use honey such way). if one suffering with the problem of not falling asleep, should consume honey with hot milk, one or two tablespoons in one glass of milk and you will start getting deep sleep in your bed. Suffering from a cough or irritation in the throat or any infection inside, eating one or two tablespoon buckwheat honey will relief you more than any other medicine. In India honey is being used as a medicine from a very long time. It called "Yogavahi" in Vedas and it is said that it cures eyesight, weight loss, impotence, urinary tract disorder and asthma. in every athletics, game athlete needs to consume a great quantity of energy in very less time. Producing this much energy from carbohydrates, proteins or from fats by cells, is a long process as these things first need to convert into glucose and then after glucose oxidation provides energy to the body. 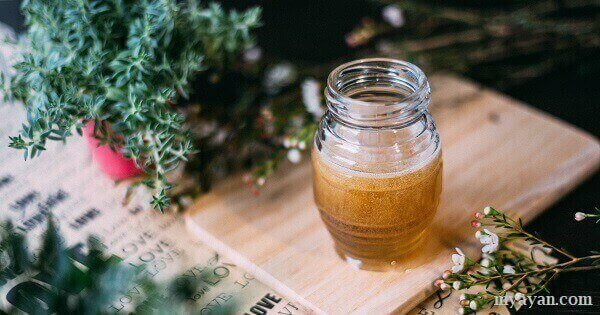 But honey is a combination of glucose and fructose so it very quickly provides huge energy to the body which improves the performance of the athlete on the field. Honey is a great anti-oxidant so it keeps our heart healthy and it also contains flavonoids which protect s our body cells from cancer. Before we go for counting the benefits of the honey, let's discuss the type of honey. There are several types of honey and used for different purpose especially. 1. Pasteurized Honey: Heating honey to kill harmful microorganisms is called pasteurization of honey, although this process also destroys some components which are beneficial for us. 2. Raw Honey: The honey which we get from the directly from the honey bees hives and has not been processed is called raw honey. 1. Clover Honey: It is produced in Canada and New Zealand. 2. Manuka Honey: Mostly used for making medicines and generally produced in America. 3. Sourwood honey: It is Sour in test and found in Brazil. 4. Buckwheat Honey: Very dark in colour and not found very often. Very effective in a cough. 5. Black louts honey: Dark in colour. 6. Blueberry honey: Test as blueberry. 7. Orange Blossom honey: Light in colour and testy as well. There are other types of honey we can found at different locations with a different brand name or name given by the locals.